PLMJ is one of Portugal's leading law firms and a key reference in the country's legal sector because of its dynamism, capacity for innovation and quality of service. PLMJ is a full-service firm that focuses on specialisation and offers a complete range of legal services. PLMJ's tax practice is one of the largest in the market and it has dedicated teams for tax planning and cross border transactions, tax litigation, taxation of private clients and international tax. The practice's reputation for cross-sector expertise covers all areas of tax law, in particular M&A, private equity, tax-neutral reorganizations, corporate financing, wealth taxation, criminal tax law and complex tax litigation. 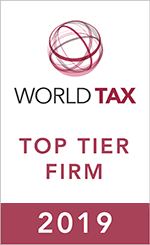 PLMJ's tax practice is the most international in the market with members in Angola, Mozambique and Switzerland. This is the result of the business development and human resources strategies adopted to take advantage of PLMJ International Legal Network. This network handles cross-border work linked with inward and outward investment in the Portuguese speaking-countries in Africa, as well as local tax litigation and wealth planning.